Yes, this is a couple of weeks late — but better late than never, right? This year was my sixth year dancing at the Dublin Irish Festival in Dublin, Ohio. 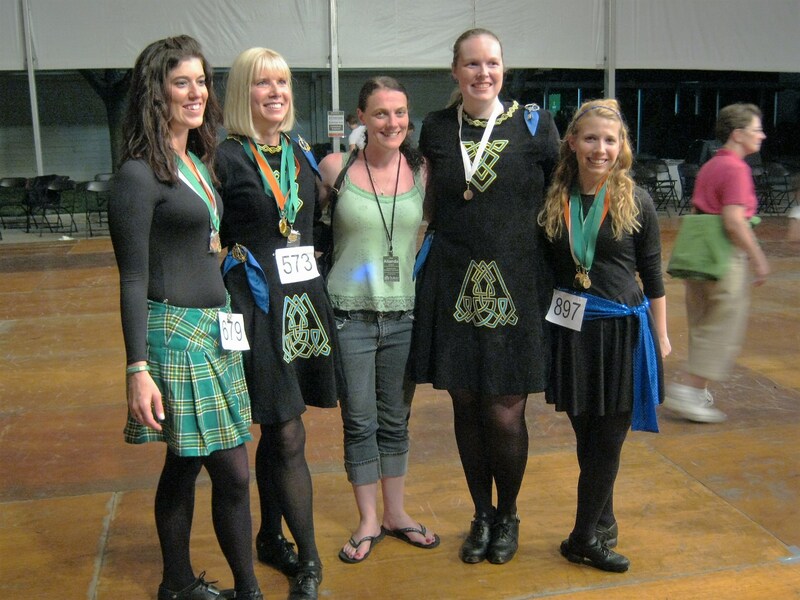 I dance with Columbus Celtic Dancers, the adult branch of the Dublin Richens/Timm Academy of Irish Dance. I kind of can’t believe this was my sixth year dancing at the festival, and competing in the adult dance competition of the Columbus Feis. Oh, the adventures I’ve had over the last many years. I didn’t take as many pictures this year as I usually do (probably because by this point all the pictures are starting to look mostly them same year-to-year), and somehow my camera screwed up and I didn’t get a copy of the full group picture of my dance group to share with you, but here’s a look at the wonderful people I get to dance with every year! Here’s the four of us who competed in the Columbus Feis, along with our wonderful dance teacher, Allanda (in the middle of the group). 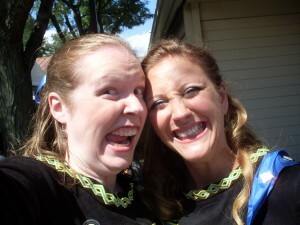 This picture has become something of a running tradition between my friend, Shana, and me. We always have to be ridiculous backstage…for no other reason than we can. And here’s a final picture of a few of us dancers backstage before we performed during Dublin Irish Festival weekend! 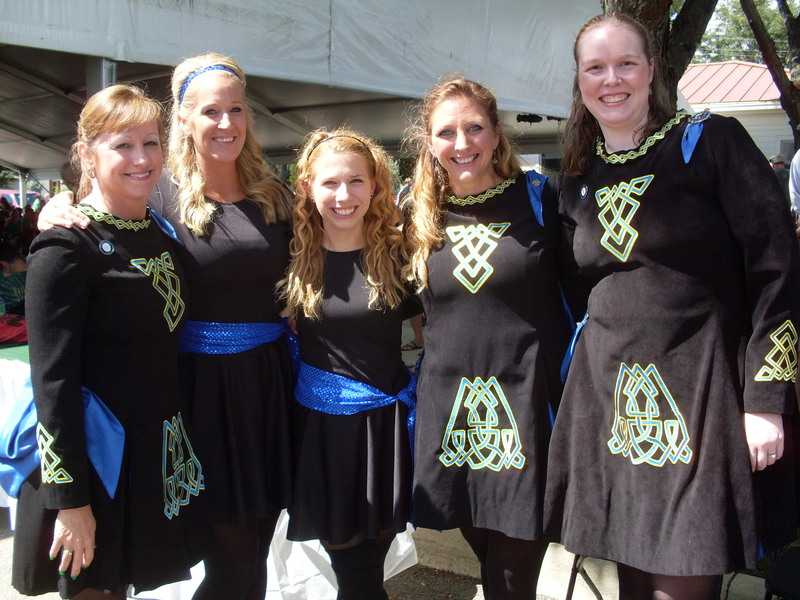 This entry was posted in life update and tagged author, Dublin Irish Festival, Erin L. Millar, irish dance.